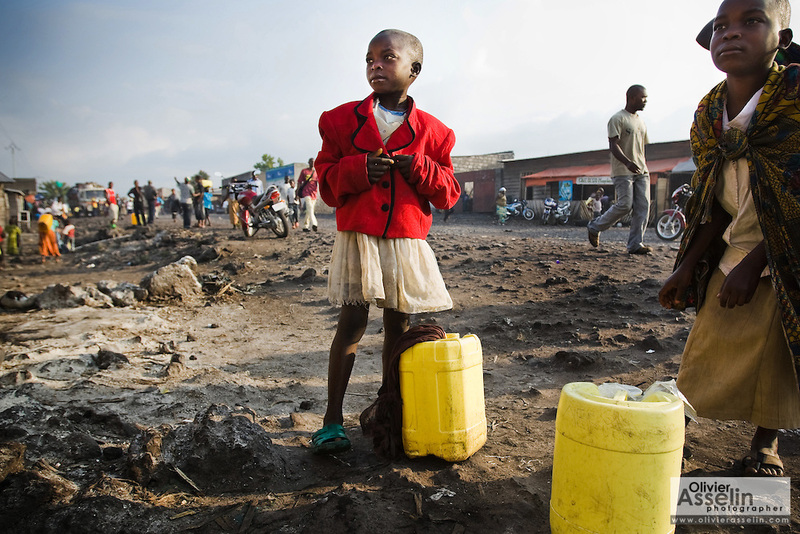 Children prepare to carry jericans of water back home in Goma, Eastern Democratic Republic of Congo on Monday December 15, 2008. Goma's Majengo neighborhood is almost entirely built on lava, after the nearby volcano erupted in 2002. As a result, there is no working water supply network, and residents, often children, must sometimes walk several kilometers to go buy water from tanks spread around the area.